Rare offering of a large 5 bedroom home with over 4300 sq. ft. above grade, plus a fully finished lower level. 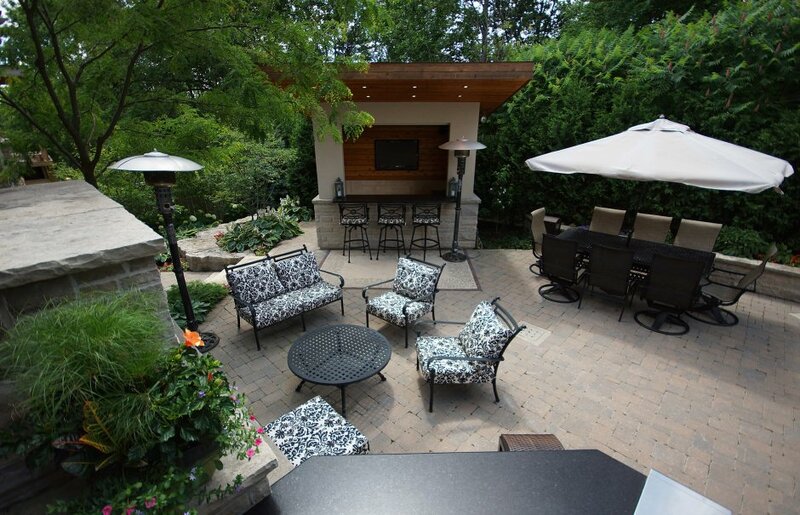 Over 300k has been recently spent transforming the outdoor living space into an entertainer's paradise. A custom gunite pool with a decorative stone wall and sheer decent waterfall are just the beginning of this backyard oasis. Connected to the pool is a year round gunite hot tub. There is loads of stone decking with an amazing drainage system, along with extensive mature landscaping accentuated by landscape lighting and an irrigation system. Abundance of socializing areas with a cabana/bar with a flat screen TV, stereo system, bar fridge and granite countertop, as well as a stone gas fireplace, built-in BBQ with more granite countertops and another bar fridge. Plumbed gas lines for heaters, hidden speakers, the list goes on. This backyard is amazing and to top it all off, it's totally private as it backs onto dense trees. There is also extensive landscaping in the front of the home with cut stone accentuation on the driveway and as a walkway up to a grand set of stairs to the front door. Large trees and cut stone on the front elevation complete the sharp aesthetic of the home. Great floor plan to this home as well as an abundance of natural light from numerous large windows. The hallways and stairs are nice and wide, and the flow is open but not too much so. The spacious front foyer is open to the living room which has hardwood floors, vaulted ceilings, and a fantastic picture window that overlooks the landscaped centre island of the circular street. Intersecting the living and dining rooms is the private main floor office that features a wall of built-ins. The dining room is very spacious and can accommodate both a very large table and additional furniture pieces, such as buffets or side tables. 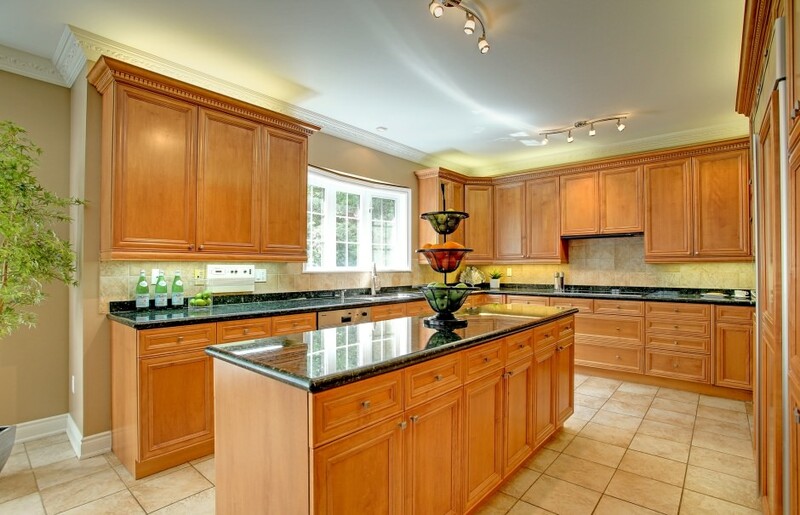 The kitchen is a super size and features built-in appliances as well as loads of cabinetry. There is also a large centre island and a terrific space for a harvest sized breakfast table. Just off the breakfast area is the walkout to the backyard. Open to the kitchen is the amazing family room featuring a custom bar area, gas fireplace with custom cherry surround with an inlaid flat screen TV, and ample seating and milling about space for entertaining. There is also main floor laundry in the home and inside entry to the full triple car garage. The 2nd level features 5 spacious bedrooms and a particularly great master retreat with His & Her closets with custom closet organizers and a gracious master bath. There are 2 more baths upstairs servicing the other 4 bedrooms. All bedrooms feature great oversized closet space. The lower level features a dedicated theatre room with a high definition projector, a large drop down screen, built in 5.1 surround sound system, and very elegant wood built-in cabinetry and trim. The lower level also features a large room that currently doubles as a games area and a gym. The space is quite large so it is very open to many uses. There is also a great storage room with loads of shelving. This home is turn-key, loaded top to bottom and inside out with all the "I wants" of a home retreat. All the improvements were done with top quality trades and it shows. This home is a winner in all respects.